The eagle has landed. In advance of the 50th anniversary of man’s first touchdown on the moon, Omega has unveiled some big news. The watchmaker has announced that its famous Calibre 321 movement-the one housed inside the Speedmasters worn by Neil Armstrong and Buzz Aldrin on Apollo 11-will be put back into production this year. When Neil Armstrong stepped out of the spacecraft and onto the lunar surface on July 20, 1969, the Omega Speedmaster ST 105.012 (equipped with the Calibre 321, to keep it running in space) officially became the first-ever watch on the moon. It has been a NASA staple ever since. But the Calibre 321 has other claims to fame that predate the moon landing: It was the first calibre tested and approved by NASA to be worn by astronaut Ed White in his Speedmaster ST 105.003 on the first American spacewalk on June 3, 1965, and it was the first movement ever used in the Omega Speedmaster when the watch was created in 1957. It took a covert team working under the apropos code name “Alaska 11” (the same name used for the secret Speedmaster designs for NASA in the ’60s and ’70s) two years to bring the movement back to life. The group included developers, researchers, and historians, in addition to the craftsmen and movement makers. 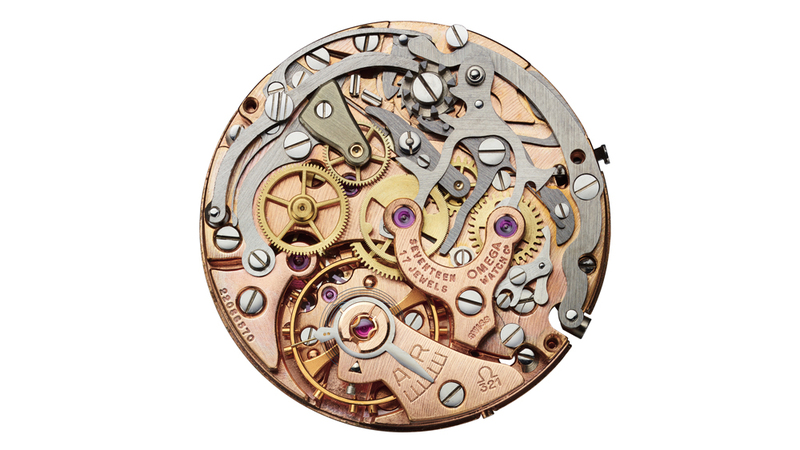 Omega went through great pains to reconstruct the original movement, and according to the watchmaker, it even used digital-scanning instruments to delve into historical Calibre 321s in its Omega museum in Bienne, Switzerland, to re-create its history for the present. The watchmaker took it one step further by creating an entire workshop dedicated to the reborn movement, where each one will be created from start to finish by the same horologist. It’s safe to say that the new Calibre 321s will be instant collector pieces. It’s going to be a big year for Omega, so stay tuned if you want to get your hands on one of their new releases.